Home » Tips » Do you have a Beauty first aid kit? 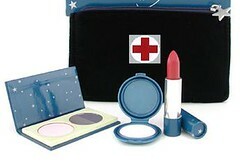 Do you have a Beauty first aid kit? The thing is you never know when you might need this first aid kit which is why I’m keeping only items that won’t spoil quickly. Hence, mascara isn’t featuring in my kit because it goes off quickly. I’ll keep this kit in my travel bag so if I forget to pack my toiletries again, as I did before, I’d have something on hand at the very least. If I keep it in a slim pouch, it won’t take up too much space too. Do you have a kit for emergencies? You should also remember to bring a little bit of make up remover just in case of mistakes.